September 12, 10am- noon. Reading and seminar with Penn for Canadian Authors, Niagara Branch, St. Catharines Public Library. 54 Church St, St Catharines, ON L2R 7K2. Phone:+1 905-688-6103. Contact: Keith Inman inman@vaxxine.com. There is no charge for this reading/workshop and all are welcome. Penn Kemp will begin with a reading from The Dream Life of Teresa Harris, a character play performed in situ in London’s oldest house and recorded there for an upcoming CD. After reading from this play, Penn will lead us in exploring and developing characters through sound and image. By allowing our Muses to speak through us, we’ll be surprised at the unfolding process of new writing. Penn’s reading is sponsored by Playwrights Guild of Canada, open to the public. Penn Kemp is an inspiring workshop presenter, poet, playwright, performer, activist and London’s inaugural poet laureate. www.mytown.ca/pennkemp. For more information on the play, see https://teresaharrisdreamlife.wordpress.com/teresa-harris/. Penn’s reading is sponsored by Playwrights Guild of Canada.and her workshop by Canadian Authors, Niagara Branch. 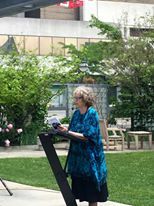 Activist poet, playwright and performer, Penn Kemp has been awarded spoken word artist of 2015-6 and a life member by the League of Canadian Poets, Penn has performed her Sound Operas around the world, also giving readings and workshops, often in schools. A prolific artist, Penn has to date published over twenty-five books and had six plays produced. She is one of Canada’s most active performance poets, with ten CD’s: see http://www.mytown.ca/pennkemp. Upcoming events are up on http://www.pennkemp.wordpress.com and twitter.com/pennkemp. Photo of Eldon House by Daniela Sneppova. 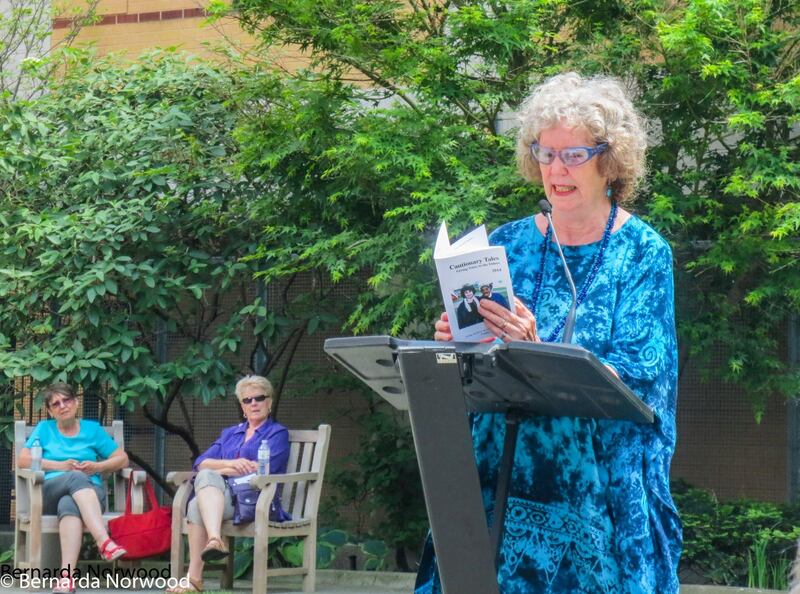 Here’s the poem I read to open the grand Creative Age Festival, June 4, 2015, in the London Public Library Rotary Garden.